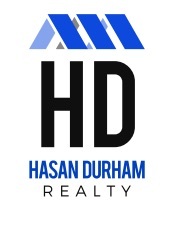 Welcome to Hasan Durham Realty, your source for real estate in Bermuda and select areas overseas. Looking to purchase a new home? Avoid feeling overwhelmed and use my experience and knowledge to find the home of your dreams. Thinking of selling? Exposure is everything. Leverage my experience and marketing tools to turn ‘selling’ into ‘sold’. We can also assist if you are looking to rent your property or you are looking for the perfect home to rent, we are here to help. Have questions? I’m here to help find answers and provide insights into the Bermuda market.